We're getting close to the end of the year. This means that the e-conomic users are getting prepared for their end-of-the-year reporting and we see increased activity on our APIs. As an extra help for our partners during this time, we have introduced the ability to create accounting years via API. Read more on this and more below. At the beginning of each year, we see a large amount of entries that can't be created because the new accounting year hasn't been set up in the users' agreements. As a result, integrations to e-conomic start breaking. To alleviate this problem, we have now made it possible to create accounting years via our REST API. In the implementation we have tried to ensure maximum flexibility, meaning that you can create periods that vary in length according to your needs (note that the typical length is still 12 months and follows the calendar year). The accounting years will automatically be created with periods within them so that they don't have to be created manually. We encourage all our partners to implement a check for the last accounting year and its state (open/closed). And, if required, create a new accounting year via a REST API call to ensure that entries can still be created in the new year. You can read more about creating accounting years in our REST documentation . This is just a friendly reminder regarding the removal of the Connect method. 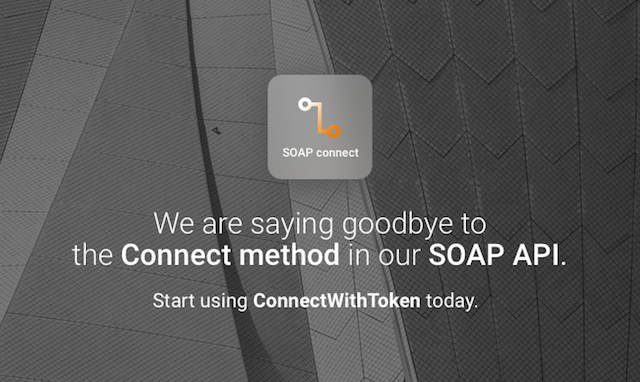 As the deadline is approaching, and we still see a high number of partners who haven't yet migrated to the token model (ConnectWithToken), please make sure to take time out to handle this, if you haven't done so already. If your integration uses the Connect method, please implement the requested changes as soon as possible. In order to ease and speed up the process, we have created an article to guide you through the change. If you have any doubts about how to proceed with the migration, our support is ready to help you with any questions. We're currently working on an /orders endpoint for the REST API. As always, we're eager to hear from our consumers how we might make it even better. So if you have any comments or suggestions, do not hesitate to reach out to our API support with your suggestions. 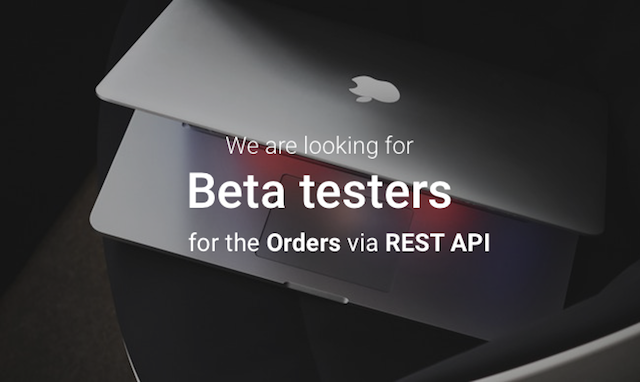 Besides the comments on feature set, we're also looking for partners that would like to be early adopters on the /orders endpoint and test its functionality to make sure that we deliver the best possible results to all consumers. Some of you might remember that according to our roadmap we're supposed to be working on the Project module. We have, however, decided to shuffle priorities and focus on the two remaining endpoints (/orders and /quotes) that will complete the entire sales flow in REST. This will be a huge enabler for many partners and will allow for a lot of exciting integrations. The Project module is substantially larger and will require more time to be delivered, but stay tuned on that as it's also coming. As the year is coming to an end we will be sharing the updated roadmap for 2018 in our next newsletter and discuss the work that we've planned based on feedback gathered from our integration partners. We will also look back on the past year and go over the major changes that were introduced in our APIs during 2017. Meanwhile, we wish you happy coding! If you do not want to receive any more emails you can unsubscribe here.